What Is Inpatient Drug Rehab Treatment And How Does It Work? When someone makes the most significant decision of life by quitting drugs, professional help is compulsory to get out of this addiction. A patient will never be able to escape from drug addiction by himself. Therefore, various treatments programs are launched to help the patients. Every patient is different from another based on physical and mental state. People who decide to get rid of addiction after an unfortunate situation need some intensive care and treatment. They offer a treatment program known as inpatient rehab or rehabilitation to them. Inpatient treatment is one of the rigorous treatment programs available at Fight Addiction. Inpatient rehab is a treatment offered by the addiction centers to provide patients with a 24/7 monitored environment where you will get medical attention and support to overcome addiction. It’s the highest level of treatment and is often prescribed to those patients who are having a severe addiction. Inpatient drug rehab is a residential drug treatment program where patients live in the center for various length depending upon their condition. The average days included in inpatient rehabilitation are 30 days, and sometime it may extend to 60 or 90 days if the patient is recovering slowly. The number of days is only based on the patient’s condition and recovery; the more one is damaged, the more inpatient treatment will be extended. How Does Inpatient Drug Rehab Work? 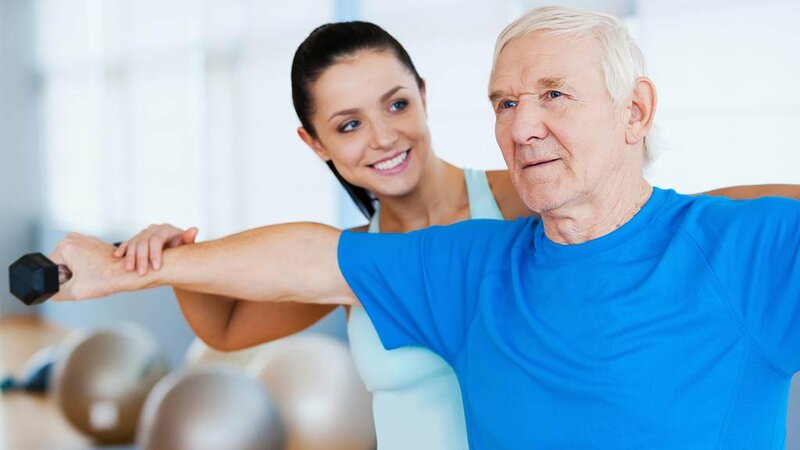 Inpatient rehabilitation is different from the usual medication program as it keeps an eye on every activity. Those who think that this treatment is just about staying away from home are not right. This treatment is much more than that as it takes away the patient from distractions and temptations of drugs. The patient lives in a completely drug-free environment. Our patient doesn’t have any access to drug or alcohol besides they are also away from the everyday mental stresses. How Are Patients Treated In Inpatient Rehab? Treatment center wants patients to stay with them so that they get their entire time for treatment. With this, it opens chances for the patients to recover from structured programs. Various counselling, medication, and therapies are offered for boosting the process of recovery. The acute rehab treatment is all about professional help of involving the patient deeply to get out of this devastating situation. This treatment helps patients to get sober by allowing them to live with all those who are going through the same problem. Inpatient treatment prepares the patient automatically for long term survivor, and once the patient learns to live there, it’s a lifetime achievement. The treatment of a patient during inpatient rehabilitation is very structured and carried out following regular steps. The first step in inpatient treatment is medically assisted detox. Doctors and physicians use various therapies to exit the effects of the drug. They eliminate the risk of relapse by getting the system out of the impact of drugs. Secondly, the patients are provided medications regularly that assist in repelling the side effects of drugs. These medicines help them to escape from cravings. The recovery of the patient is monitored every day, and changes are made accordingly for better outcomes. The inpatient rehabilitation is much advantageous than the traditional drug treatment as it controls day to day functioning. We understand the patient’s cravings, and the negative response of the body rise by quitting drugs. The painful physical symptoms that might attract patient towards drugs are all under professional attention during inpatient drug rehab. Detox techniques are for getting the patient out of the drugs side effects. In the beginning, acute rehab is discomforting, but in the end, it eliminates all the drugs addictions. Inpatient drug rehab separates the patient from the life of addiction, their destructive influences, sources, and triggers. This treatment avoids the patient to enable addiction and causes that encourage alcohol and drug use by producing a high relapse success rate. The staff help the patient during inpatient rehab on a personal level and individually treat everyone. The root of addiction is eliminated with expert help. With all the medication and therapies mental support is also necessary for the patients. The patient gets spiritual support from fellow patients and staffs. The staff treats the patient in a way that helps them get out of this addiction. The complement of all these factors proves to be much beneficial for the patients, and you get visible results for both long and short term. During acute rehab, the patient is treated with love and care. The inpatient rehab opens new gateways for the drug addiction to start a new journey for them and their loved ones. The safe and healthy environment helps the patient to focus only on his recovery and treatment by relieving from the depression — the 24/7 professional availability help in resolving all the problems that arise during the inpatient rehab.